Every year, Student Council plans, coordinates, and hosts two blood drives during school hours. The fall event is hosted by the Senior Class, and the spring event is hosted by the Junior class. Not only does this help build leadership skills, but the event also goes towards a good cause. 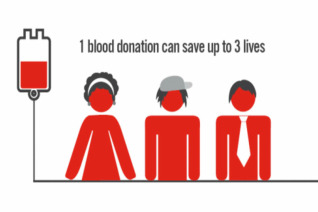 By donating blood, individuals have the potential to help save lives everyday! Dates and more information for this upcoming event will be available soon! Click here to sign up for the Blood Drive! !